New Businesses and Grand Openings: College Sitter Contact, Inc.
New Businesses is a monthly advertising feature allowing recently-opened businesses to introduce themselves to Fayetteville. Location: Fayetteville, Springdale, Bentonville, Rogers and surrounding areas. We also have branches in Iowa, Missouri, and Colorado. Hours: Parents and businesses can book sitters for any hours needed, including overnights. College Sitter Contact, Inc. (CSC) is a childcare scheduling services that provides as-needed childcare to registered families. CSC also works with local day care centers, churches, and fitness centers to provide childcare services as substitute teachers, nursery teachers, and assistant instructors. Each sitter featured on our site goes through a typical hiring process including a face-to-face interview, background check, reference check, and 2 hour orientation training. Creating and maintaining a profile on CSC is free and there is no booking fees! Registered families and businesses are only invoiced monthly for the hours they book and receive a tax ID for childcare deductions. Members are able to search, book, and meet sitters at a click of a button. CSC also provides monthly drop off events, family meet and greets, and family crafts activities. CSC is a safe and reliable platform connecting qualified college students and recent college graduates to families and business in need of quality childcare. We specialize in active play and creativity. Our sitters are featured on our site because they have a love for children and a provide fun and engaging environments. 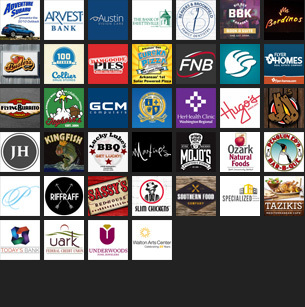 Anything else you’d like to tell Fayetteville about your new business? We are always hiring! CSC is on the lookout for reliable and experienced childcare providers who are currently college students or recent graduates. Apply by logging on to collegesittercontact.com and clicking “Join Now” under Fayetteville campus! Paid Advertisement – This post paid for by the businesses represented above. If you’d like to advertise your new business or grand opening in a future promotion similar to this, call Dustin at 479-387-1002 or send us a message.